Ceramiche d'Arte is an Italian brand founded in 1965. The company’s production is based on the old style, mainly baroque with a decorative purpose, and a strong use of the decorative techniques based on Gold and Platinum. 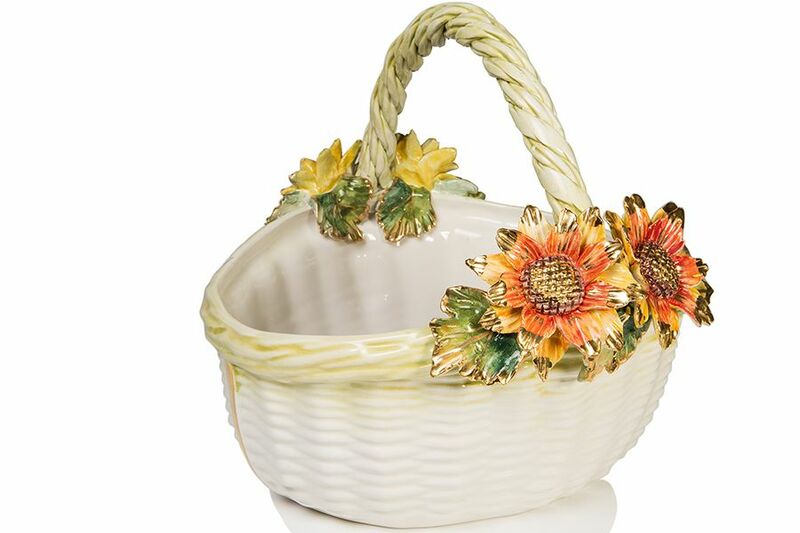 This ceramic basket with multi coloured sunflowers on both sides of handle is intricately hand designed and painted, crafted and decorated by specialised Italian artisans. Fruit basket measures approximately H x 5.4". Basket is multi use for fruit, bread, vegetables or even as a decorative piece.